Uber has had multiple run-ins with the black cab industry and regulators in London. Ride-hailing service Uber scored a victory in London Wednesday, as regulator Transport for London agreed to drop proposals to place restrictions on the app. That decision followed a public consultation on a range of proposals, some of which might have imposed hardships on Uber, including a five-minute minimum wait time between booking a car and starting a journey. The proposals elicited 16,000 responses. In addition, some 200,000 people signed an online petition organized by Uber expressing discontent for the proposals, which also would have prevented customers from seeing cars’ movements in live view in the Uber app. “We’re pleased that Transport for London has listened to the views of passengers and drivers, dropping the bonkers ideas proposed last year like compulsory five-minute wait times and banning showing cars in apps,” said Jo Bertram, Uber’s regional general for the UK. Every time San Francisco-based Uber sets up shop in a new city or country, it has regulatory hurdles to overcome and frequently clashes with the established private hire industry. That hasn’t stopped the 6-year-old startup from going into business in 300 cities in 58 countries around the world, or from attracting $8.61 billion in funding. But some places prove trickier to settle into than others, and London, with its iconic black cab trade, is among them. Black-cab drivers have taken to the streets of the British capital on multiple occasions to protest against Uber since it arrived there in 2012. This latest round of proposals would have applied to all minicab operators in the city, but were widely interpreted as a crackdown on Uber, which has flourished in London, with 20,000 drivers now on its books. 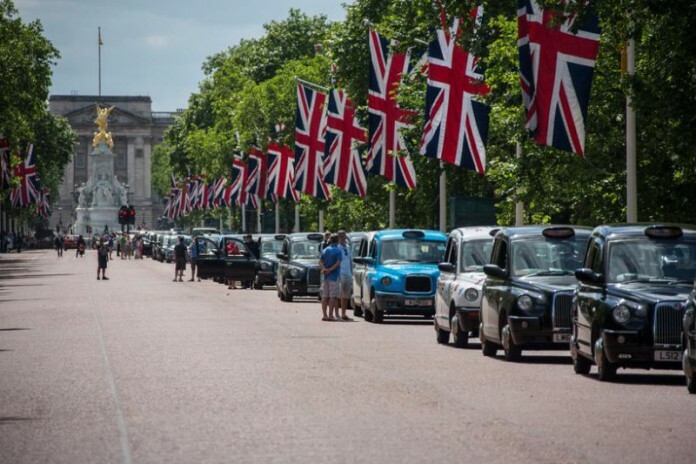 Transport for London (TfL) and Mayor Boris Johnson have been caught in the middle of keeping the black-cab drivers happy and letting innovation flourish in the private hire trade. Johnson has at in the last six months alone accused Uber of “excessively breaking the law” and claimed that he supports the innovations in the industry that technology is responsible for. Some of the proposals consulted on by TfL at the end of 2015 did pass muster and will be now be put forward for formal approval. The most notable is a requirement for minicab drivers to hold a formal English language qualification. Poor language skills has been a common complaint of critics of the service in London. But some of the successful proposals actually seem to be inspired by Uber, as they’re features the service already offers: guaranteed fare estimates for customers in advance of their journeys and the provision of driver and vehicle details, including a photo.